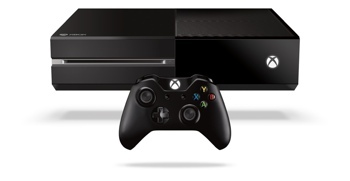 Microsoft today announced a major price cut for its Xbox One video game console. Starting June 9, you’ll be able to purchase the Xbox One without the Kinect motion-sensing accessory for $399. There’s some great news for existing Xbox One owners in the news, too. In June, you’ll finally be able to access streaming video services like Netflix and HBO GO on the console without needing a $60 per year subscription to Xbox Live Gold. Gold members, meanwhile, will get access to a handful of free new games along with some deep discounts on other titles. The Xbox One launched last year at a $499 price point, $100 higher than the competing Sony PlayStation 4 console. As a result, Sony’s PS4 has built a significant sales lead over the Xbox One. This price cut, along with excitement over the popular Titanfall game, should help Microsoft narrow the gap this year. The Xbox One is a good console, but in my humble opinion, it was never worth $100 more than the PlayStation 4. For more on the Xbox One, check out our favorite games for the new console.